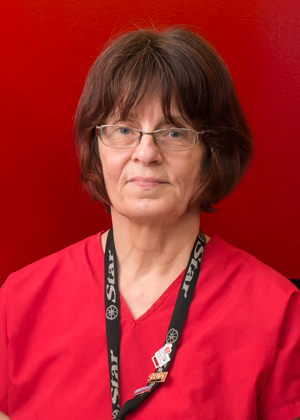 Cheryl works as a Registered Practical Nurse at Georgian Bay General Hospital in Midland. Her passion for palliative nursing began when she took courses with her local palliative care network. Later, Cheryl wanted to continue advancing her palliative care knowledge and found de Souza Institute. While achieving her de Souza Nurse Associate Designation, she learnt that listening to a patients’ needs is crucial and that no two patients are the same. She felt that the psychosocial oncology course was very beneficial because it allowed her to learn about expansions in the palliative and oncology fields. The psychosocial aspect of knowledge proved to be most valuable to her as she was able to utilize those skills when dealing with her patients and their families. Cheryl believes that if one is truly passionate about palliative care they should keep pursuing education in that area.